tetraites | What song the Sirens sang . . .
Entertainment in the Roman world revolved around the bloody spectacles that took place in stadiums like the Colosseum. Festivals would last for days and many different events would take place one after another in an effort to please the crowds and the Emperor. The most famous were the gladiator battles that would pit slaves, convicts, or prisoners against each other in combat to the death. Thousands of gladiators were slain in the Colosseum as a means of entertainment. These battles often took place at the end of a long day which featured other battles and performances in the arena. One of these early events were the venationes or animal hunts. Roman animal traders scoured the empire for the best and most ferocious animals that they could find. Elephants were taken from North Africa, hippos from the Nile, and ostriches from the Sudan. All of these animals were then shipped over to Rome where they were cared for in anticipation of their big day. The venationes would feature these animals being hunted by prisoners or even professional hunters. Other animals were used in the gladiator fights where the aim was to kill the men or at least put on a spectacle. The venationes were focused on the thrill of the hunt, the death of the hunter would be seen as unfortunate or shameful. The Roman crowds wanted to experience a hunt without having to go to Africa or Asia. These events became so popular that most gladiator festivals started with a venatio. Over the course of a few hundred years these hunting performances exhausted the wildlife across the Roman empire. The North African elephants were so popular, because of their tie to the vile Carthaginians, that they were hunted to extinction. The Nile River delta hippos suffered a similar fate. Over time the venationes evolved and they began to pit the animals against one another. Bears from Scotland were chained to lions from Persia in an attempt to prove which was stronger. Some of the best hunters became famous across the empire and their names were listed with the great gladiators of the time. The venationes enjoyed nearly 400 years of success in Rome before the animals became too scarce to hunt and then the empire collapsed. The spirit of the venationes continued throughout the empire and modern performances, like the bull fights of Spain, can be tied to the Roman spectacles of old. Lindstrøm, Torill Christine. “The animals of the arena: how and why could their destruction and death be endured and enjoyed?.” World Archaeology 42, no. 2 (June 2010): 310-323. Religion and Philosophy Collection, EBSCOhost (accessed April 12, 2015). “Venationes.” The Colosseum. Accessed April 12, 2015. http://www.the-colosseum.net/games/hunts.htm. “Venationes.” Venatio and Venationes. Accessed April 12, 2015. http://penelope.uchicago.edu/~grout/encyclopaedia_romana/gladiators/venationes.html. Wikipedia contributors, “Venatio,” Wikipedia, The Free Encyclopedia, http://en.wikipedia.org/w/index.php?title=Venatio&oldid=637775730 (accessed April 12, 2015). Zoroastrianism was the dominant religion of Persia and other empires in modern-day Iran. The prophet Zoroaster, or Zarathustra, lived between 1500-1200 BCE in ancient Iran and was the founder of the religion. He disliked the class-based social structure of Bronze-Age Iranians because it broke apart the commoners and allowed them to be controlled by the priests. Zoroastrianism revolves around a single god, Ahura Mazda, who gave his sacred rules and writings to his prophet Zoroaster. One teaching that was handed down was the use of holy sites for pilgrimages to observe holy fire, fire being a dominant part of Zoroastrianism. These sites are known as Pir and were located all around Persia and ancient Iran. The main purpose of a Pir was to hold the sacred fires of worship. Early believers used a simple hearth in their own homes for worship but as the religion grew sacred sites became more popular. These so-called fire temples were spread across Iran but the main concentration was in Yazd province. 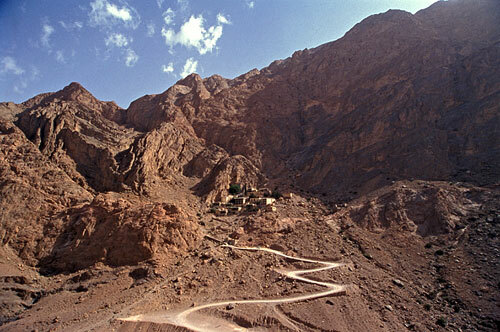 The six main Pirs are located in the mountains above the desert in Yadz. Each one had a different schedule for pilgrimages so that travelers could enjoy festivals at each site without missing the next one. 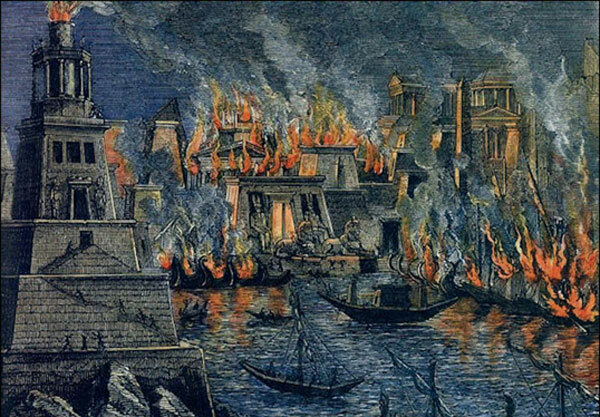 Most pilgrimages took place during the summer months and were part of the fire festivals. Each Pir was constructed differently but they had many similarities. Each one had an altar for worship and then an inner grotto for greater religious purposes. The inner grottos were enclosed by large bronze doors with engraved images of Ahura Mazda or Zoroaster. These inner areas were for specific Zoroastrian members but the outer parts of the fire temple could be enjoyed by all. Each Pir also had a legend or story that accompanied its founding or location. For example, the famous Pir-E Sabz is located on the mountain where a Sassanid’s daughter fled from Arab invaders and Ahura Mazda opened the mountain to give her a place to hide. The fire temple was built in this grotto as a marker of Ahura Mazda’s blessing upon the young girl. Other Pirs have similar origin stories and small festivals are often held to commemorate these events. These holy sites are still popular tourist locations and each summer Zoroastrians from all over Asia travel the pilgrimage routes to give devotion to Ahura Mazda and Zoroaster. “Chak Chak, Yazd.” Wikipedia. April 26, 2014. Accessed March 29, 2015. http://en.wikipedia.org/w/index.php?title=Chak_Chak,_Yazd&oldid=605877689. Eduljee, K.E. “Pir-e Sabz / Chak-Chak, Pilgrimage in Zoroastrianism.” Zoroastrian Heritage. Accessed March 29, 2015. http://www.heritageinstitute.com/zoroastrianism/worship/piresabz.htm. Green, Nile. “The Survival of Zoroastrianism in Yazd.” Iran 38:115-22. Accessed March 29, 2015. http://www.jstor.org/stable/4300587. Grey, Martin. “Zoroastrian Sacred Sites.” Places of Peace and Power. Accessed March 29, 2015. http://sacredsites.com/middle_east/iran/zoroastrian_sacred_sites.html. Archeological digs in the Middle East have uncovered small clay objects with markings on the various faces and edges. Many archeologists and historians have tried to determine the possible use of these tokens in the past century or so. Some thought they were children’s toys or pieces of amateur art. Recent studies have determined these tokens to have been a vital part of the economy as they represented numerical values of a specific commodity. Art historian Denise Schmandt-Besserat is credited with finding the true purpose of the Mesopotamian clay tokens. She discovered six distinct token shapes that represented different measurements of items like grain. Early tokens were spheres, cones, disks, and other basic shapes. These tokens were used by the peoples of Mesopotamia as far back as 7500 BCE. Over time the complexity and uses of the tokens evolved. There began to be writing on the tokens, possibly markings to denote an association to an accurate counting system. 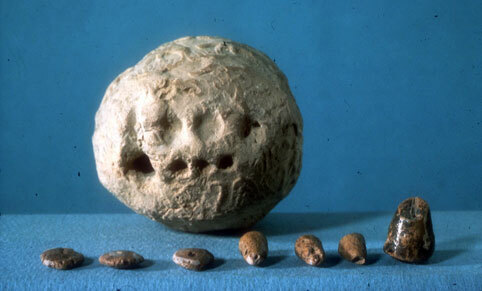 By 3500 BCE the tokens began to be used alongside sphere like objects with small pockets meant for the tokens. Many historians believe these spheres were sent alongside goods as an early attempt at a trading invoice. The tokens were present in civilizations that didn’t have an established writing system. These tokens predated writing and numerical systems that developed in the same region. Schmandt-Besserat and other historians believe the tokens helped to emphasize the importance of numbering systems and caused the Sumerians to develop the more complex sexagesimal number system present in third millennium Sumer. Tokens and clay envelopes changed in Sumer to represent more than just one of a specific object. Certain tokens would represent ten or sixty portions as opposed to the early system that used one token for one item. There is also a direct link between the tokens and the early development of agriculture. 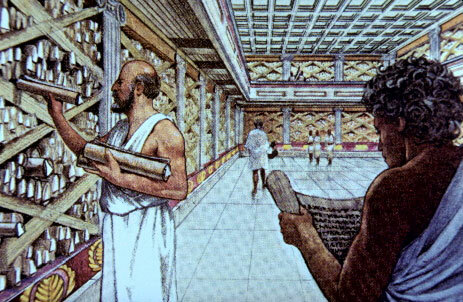 Hunter gatherer groups didn’t have a need for the tokens because they used a simple system of economics, like for like trading. Agriculture brought new economic opportunities and with it the need for a system to manage a more complex economic system. These basic tokens were the beginnings of counting in Mesopotamia and heavily influenced the later development of more modern counting systems. Frank Swetz. “Mathematical Treasure: Mesopotamian Counting Tokens.” Convergence 10 (2013). 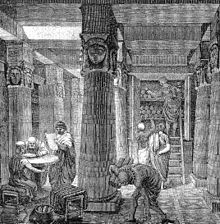 Accessed March 8, 2015. http://www.maa.org/publications/periodicals/convergence/mathematical-treasure-mesopotamian-accounting-tokens. Denise Schmandt-Besserat . “Tokens: Their Significance For the Origin of Counting and Writing.” Denise Schmandt-Besserat. Accessed March 8, 2015. http://sites.utexas.edu/dsb/tokens/tokens/. Wikipedia contributors, “Sexagesimal,” Wikipedia, The Free Encyclopedia, http://en.wikipedia.org/w/index.php?title=Sexagesimal&oldid=643765109 (accessed March 8, 2015). My name is taken from that of a famous gladiator, Tetraites, who battled valiantly and was even well known in England. He used a sword and shield in his battles and there are paintings of his victory over Prudes, another famous gladiator.